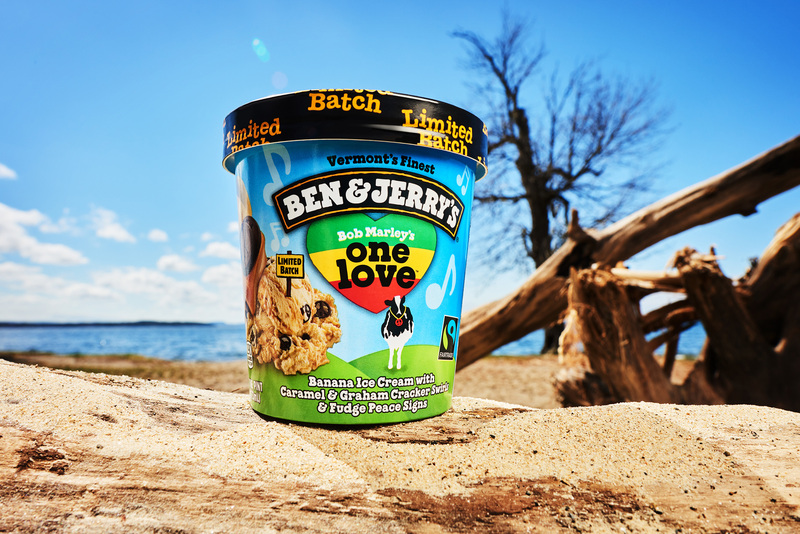 Burlington, VT—May 11, 2017— “One love, one heart...” So begins one of the most recognized songs in reggae history. 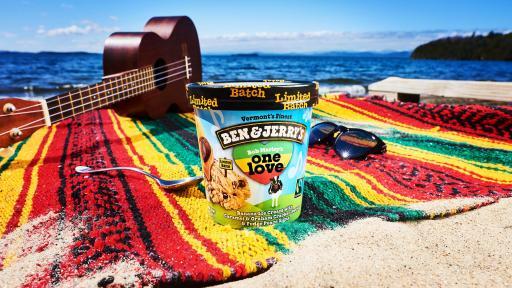 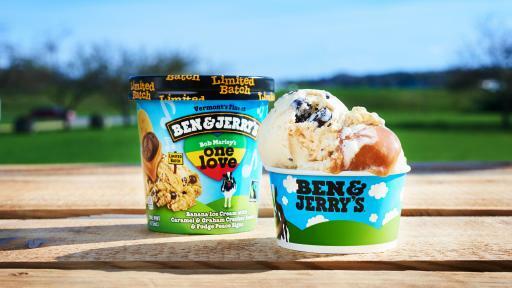 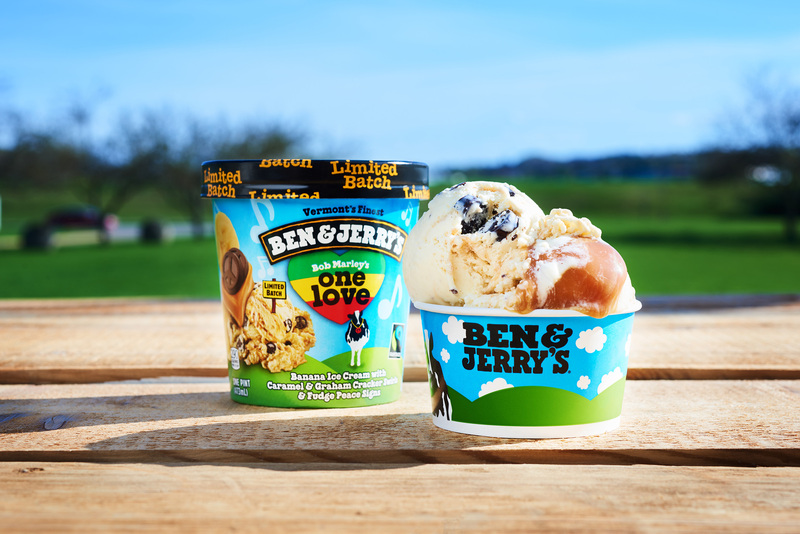 Bob Marley’s memorable refrain is a call for global compassion, and is a perfect anthem for Ben & Jerry’s latest flavor, One Love. 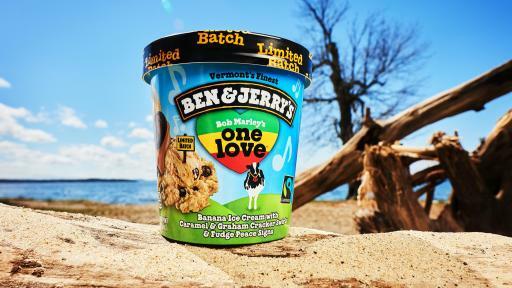 The flavor concoction that came to fruition in partnership with the Marley family pays homage to the legendary performer and his vision for a better world. 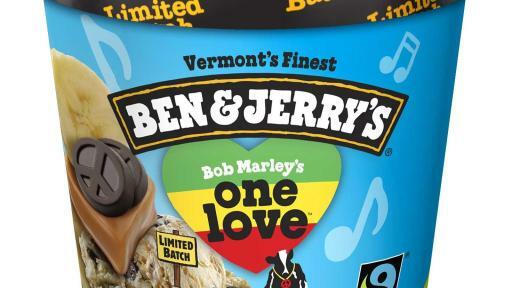 Bob Marley, a Rock and Roll Hall of Fame inductee, is notable not only as the man who put reggae on the global map, but, as a statesman in his native Jamaica, he famously brought together the country’s warring factions. 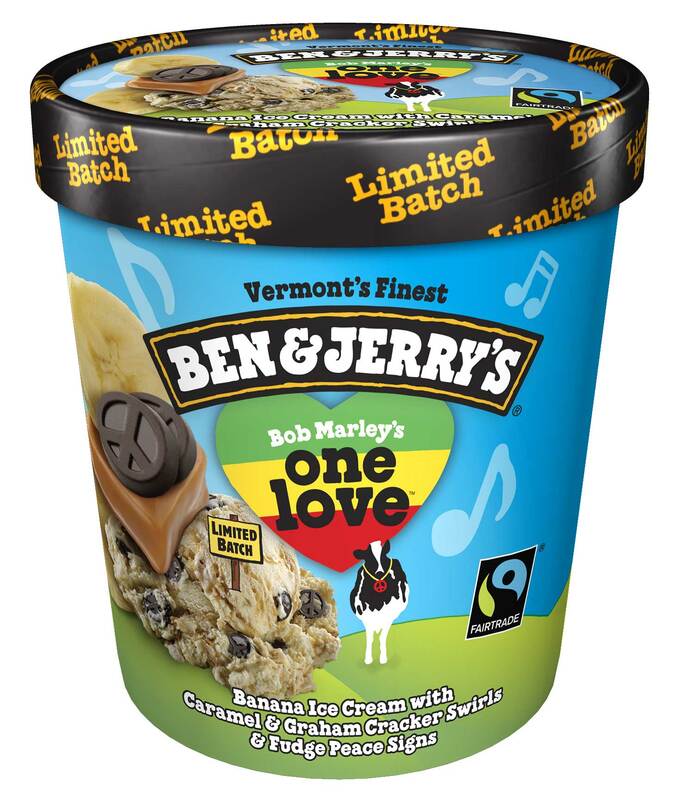 Today, Bob Marley remains one of the 20th century’s most important and influential entertainment icons. 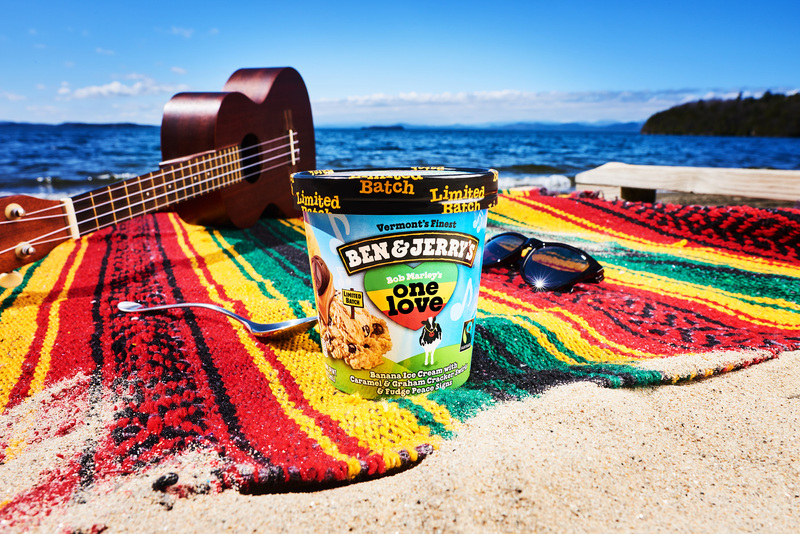 Marley’s lifestyle and music continue to inspire new generations as his legacy lives on through his music. 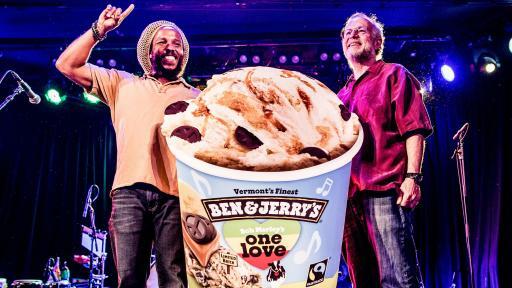 In the digital era, he has the second-highest social media following of any posthumous celebrity, with the official Bob Marley Facebook page drawing more than 74 million fans, ranking it among the Top 20 of all Facebook pages and Top 10 among celebrity pages. 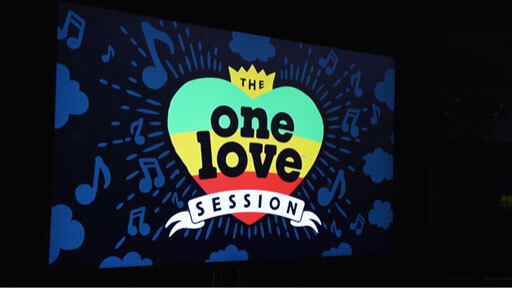 Marley’s music catalog has sold millions of albums worldwide. 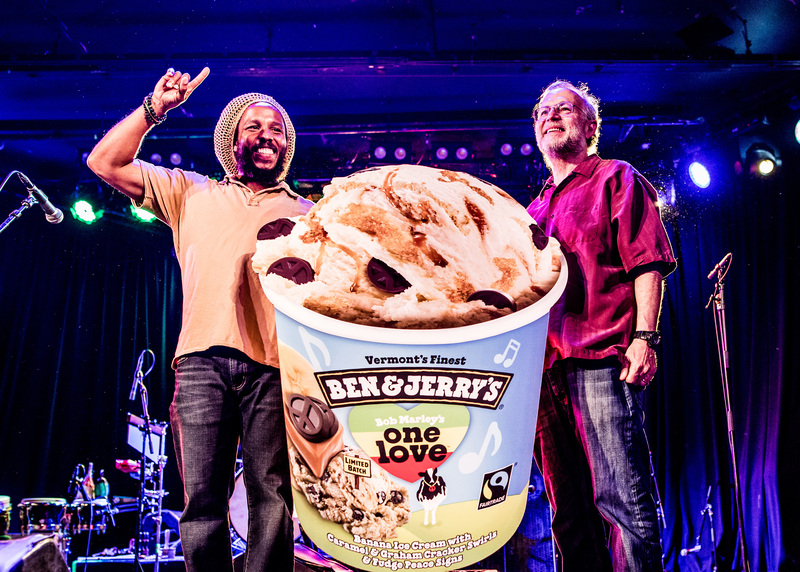 His iconic collection LEGEND holds the distinction of being the longest-charting album in the history of Billboard magazine’s Catalog Albums chart and remains the world’s best-selling reggae album. 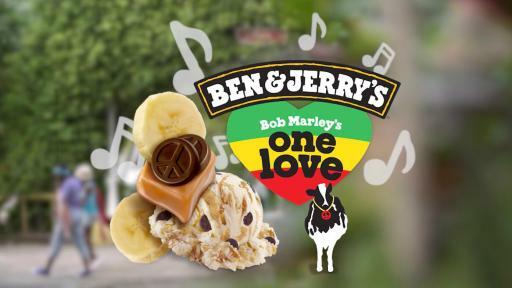 Marley’s accolades include inductions into the Rock and Roll Hall of Fame (1994) and ASCAP Songwriters Hall of Fame (2010), a GRAMMY® Lifetime Achievement Award (2001), multiple entries in the GRAMMY® Hall Of Fame, and a star on the Hollywood Walk of Fame (2001). 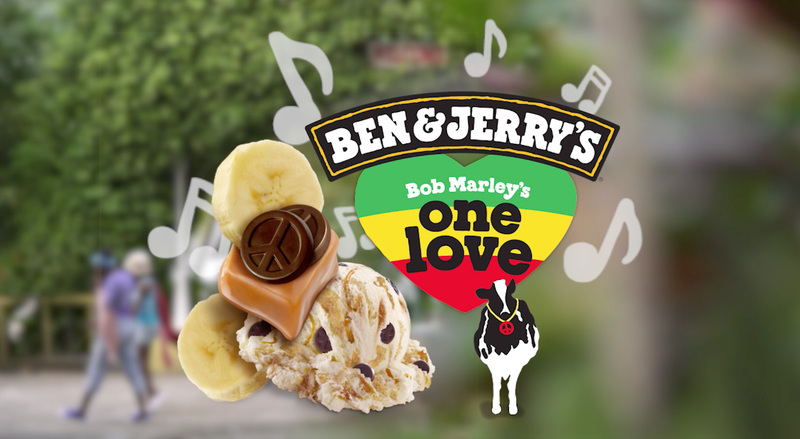 For more information visit: bobmarley.com and facebook.com/bobmarley.